Business and economic development often form the foundation of a nation’s growth and prosperity. On that note, any business-notion or unprecedented initiative on part of pioneers brings multitudes of upshots for a nation’s economy. In fact, several examples from history corroborate that fact – be it Henry Ford, Lee Kuan Yew or JRD Tata, individuals often can be attributed to kickstart a nation’s potential as well as its growth.For the South Asian nation of Bangladesh, Salman F Rahman (সালমান এ রহমান), the founder and head of Beximco, perhaps best describes that notion. A business magnate and industry captain, Salman’s efforts in setting up a business paradigm and a conducive environment for local businesses has been instrumental for the relatively nascent economy of Bangladesh. Helming the economy of Bangladesh from its infancy, Salman F Rahman’s efforts have been synonymous with the growth of Bangladesh. Salman F Rahman set up Beximco in 1972 after his family inherited jute mill was nationalized by then Government of Bangladesh in 1971. The business journey started out with seafood exports to target countries including Germany, France, the UK, Netherlands, and Belgium. The initial trajectory soon transformed into a journey towards setting a conglomerate that worked on Bangladesh’s strengths and harnessed its potential as well as gave the country and its trading partners an impetus to invest in Bangladeshi economy. An example for the uninitiated would be Salman’s initiative in the textile, seafood and the pharma industry. Where the country had a strong albeit unorganized textile industry in its infancy, it still had to import medicines for its burgeoning populace. That predicament possibly transformed into Bangladesh’s first private stint with the international market and resulted in Salman’s foray into international markets. The polarized status quo resulted in his inclination towards pharma wherein instead of making heavy profits in cash, he chose to import medicines worth the same cost to meet the country’s pharmaceutical demands. While this went on for a couple of years, he decided to manufacture and supply local pharmaceutical requirements from within the country. Consequently, 1976 witnessed the birth of Beximco Pharmaceuticals and since then, Beximco has expanded under Rahman’s vision and guidance. Apart from the company’s growth, Salman F Rahman traversed a journey of his own as a businessman and industrialist of note internationally – considering how he shaped the world’s perception towards Bangladesh’s indigenous industries and exports. The associated acumen, vision and experience further resulted in his appointment as the Private Sector Development Affairs adviser to the Bangladesh Awami League President Sheikh Hasina. 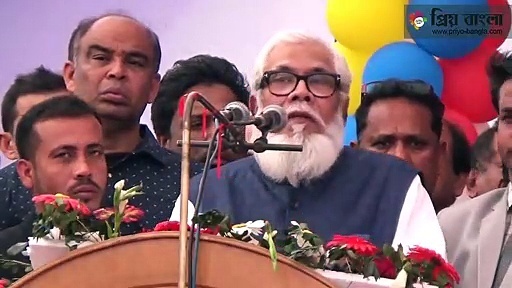 Though the country’s rising GDP in the past decade is the testament of the aforementioned, Salman F Rahman’s belief of harnessing the country’s business potential for its enhanced prosperity could further be advanced to enhance, empower and strengthen the country’s economic potential at the political and administrative front.